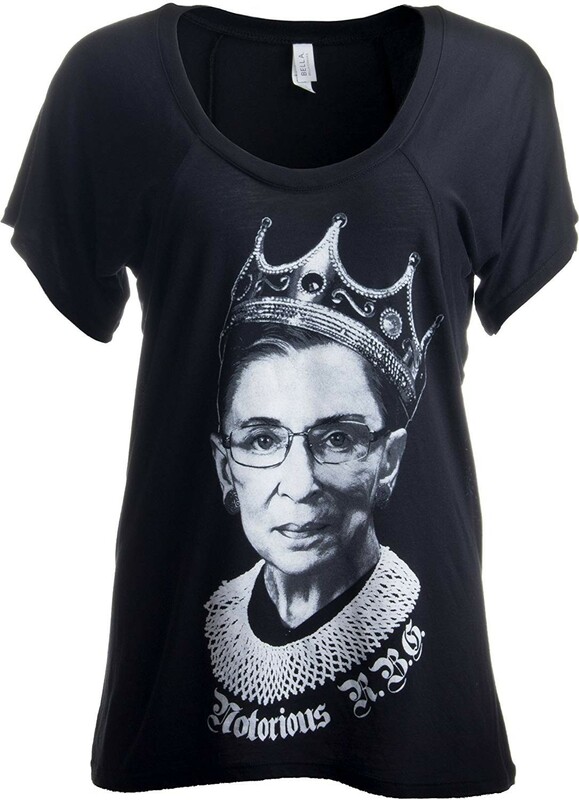 You'll love this flowy women's t-shirt with a professionally applied screen print celebrating the biggest badass in American jurisprudence — Notorious R.B.G.! 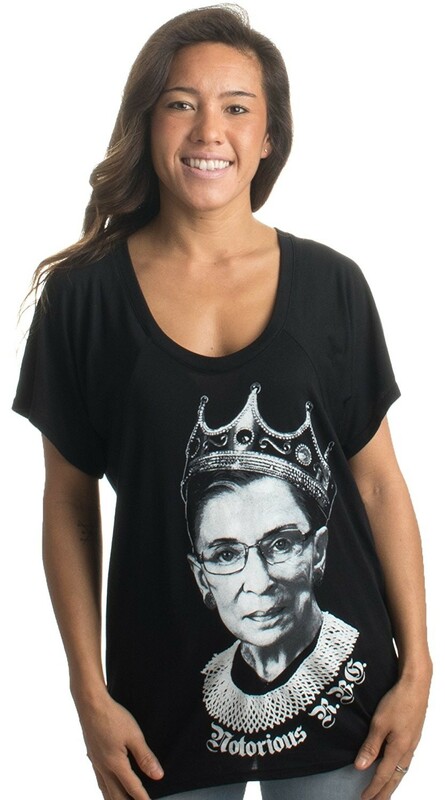 This 65% polyester, 35% viscose shirt pays tribute to the inimitable Ruth Bader Ginsburg, Supreme Court Justice and all-around amazing woman. It was designed by skilled artists at the Ann Arbor T-Shirt Company in Michigan, and printed in Ann Arbor with high-quality QCM inks, which are also American-made. 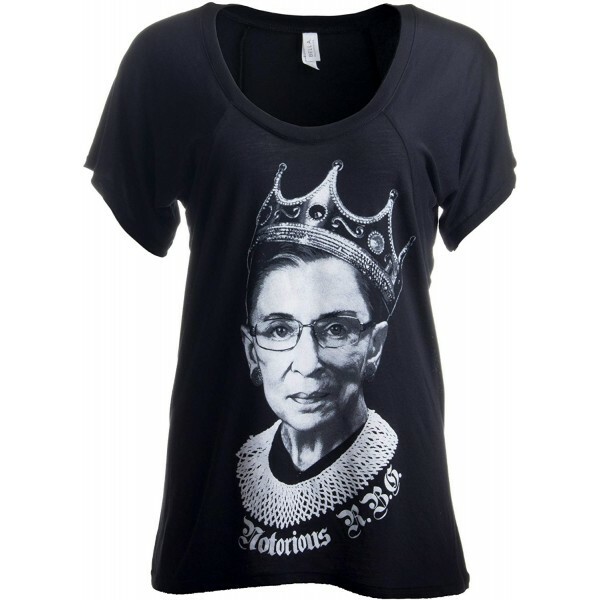 This shirt, which is sized and contoured for adult women, is available in women's sizes small to 2XL.